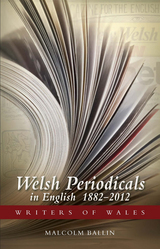 Welsh Periodicals in English celebrates the contribution of English-language periodicals to the careers of Welsh writers—from Lewis Morris to Owen Sheers—and to their editors, from Charles Wilkins to Emily Trahair. These periodicals have helped create an active Anglophone public sphere in Wales and continue to stimulate discussion on a wide range of topics: tensions between tradition and continuity, the role of magazines in developing new writers, gender issues, relations with Welsh-language journals, the involvement of the periodicals in social and political issues, and their contribution to cultural developments in Wales. 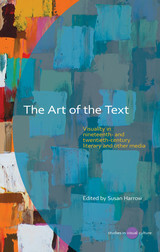 A detailed study of the design, content, and editorial practice of the periodicals is illuminated by discussions with living editors, and the book concludes with a discussion of the strengths and weaknesses of contemporary productions and a comparison with their successful equivalents in Ireland. Today Austria is a small, neutral, and economically successful country in the heart of Europe. Yet modern Austria is the product of a complex and turbulent history. Following World War I, Vienna lost its position as the capital of a large continental and multiethnic empire and became an alpine republic surrounded by larger states. Anthony Bushell’s Polemical Austria examines this transition, asking how such an abrupt change has affected the way Austrians perceive themselves today. 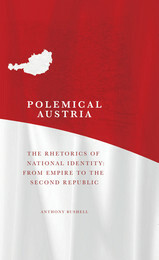 Bushell places particular emphasis on the role of language in Austrian national identity. All of Europe was swept up in the events of the French Revolution and the radical restructuring of society that occurred in its aftermath. 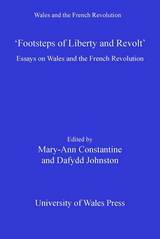 This collection of essays by leading academics explores how Welsh clerics, diplomats, singers, poets, journalists, and soldiers—many of whom traveled to Paris to witness the conflict firsthand—responded to the Revolution. This is a straight-forward, readable account, written with the minimum of jargon, of the central importance of money in the ordinary business of the life of different peoples throughout the ages from ancient times to the present day. 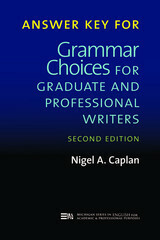 First published in hardback in 1994 and selected by the American Libraries Association as an Outstanding Academic Book. 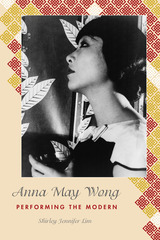 This revised and updated paperback edition also deals with the Barings crisis and the report by the Bank of England on Barings Bank; up-to-date information on the state of Japanese banking; changes in the financial scene in the US; the UK housing market and the problem of negative equity. The paradox of why more coins than ever before are required in an increasingly cashless society is clearly explained, as is the role of the new `Euro' coin as the lowest common denominator in Europe's controversial single currency system. The final section provides evidence to suggest that for most of the world's richer countries the era of persistent inflation may well be at an end. Raymond Williams (1921–88) was a Welsh, working-class academic writer and novelist, influential in both the creation of cultural studies as an academic subject and in his attempts to democratize access to education. 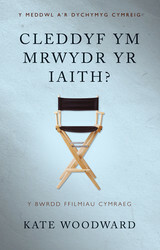 Here Hywel Dix applies Williams’s theory—that literary texts not only reflect what is happening in a society but also cause certain changes to occur—to literature and film produced in the years since Williams’s death, particularly during the years of political devolution in the United Kingdom. Dix explores the ways in which contemporary Welsh and Scottish writing contributes to devolution and how these writers carry out an imaginative critique of the unitary British state. 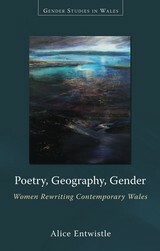 Poetry, Geography, Gender explores how questions of place, identity, and creative practice intersect in the work of some of Wales’s best-known contemporary poets, including Gillian Clarke, Gwyneth Lewis, Ruth Bidgood, and Sheenagh Pugh. Alice Entwistle illustrates how each writer’s relationship with her complex cultural hinterland—its languages, history, and imaginative and political geography—is staged and tested in the kinds of poems that each poet writes, as well as what she writes about. 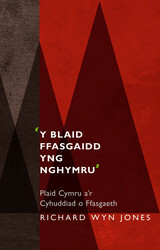 In doing so, Entwistle proposes a new way of reading both poetry and place, arguing that the Wales represented, in and through their choices of form and language, is precisely the kind of dynamic, outward-looking, and culturally confident nation that theorists of devolution and the fin de siècle might have envisioned. John Hanning Speke’s discovery of Lake Victoria in 1858 while on a quest to find the source of the Nile elevated him to the pantheon of heroes of African exploration, alongside David Livingstone and Henry Morton Stanley. 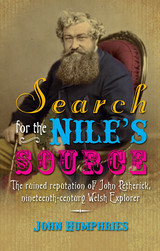 But historians have ignored the part played by the Welsh mining engineer John Petherick in the discovery, largely because Speke branded him a slave trader. In this first biography of Petherick, John Humphries explores whether Petherick was truly a rogue, as he is often portrayed, or the victim of a conspiracy that destroyed his reputation and denied him credit for one of the greatest feats in African exploration. Poverty violates fundamental human values through its impact on individuals and on human environments, and it goes against the core values of democratic societies. Drawing on numerous scientific studies as well as his own experience witnessing the systematic poverty in his home country of South Africa, H. P. P. [Hennie] Lötter presents a holistic profile of poverty and its effects on human lives all the while accounting for the complexity of each individual case. He argues that shared ethical values must guide the planning and distribution of aid and that our society must reevaluate our notions of justice and reimagine the role of the state in order to enable collective human responsibility for poverty’s successful eradication. Galicia, a culturally distinct region in northwest Spain, has often been portrayed as a sentimental nation, a misty land of poets and legends. Here Helena Miguélez-Carballeira argues that this trope is a feminizing, colonial stereotype that has plagued Galician cultural history since the late nineteenth century. 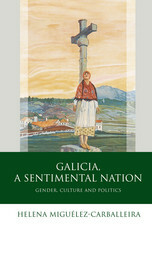 Miguélez-Carballeira combs the classic texts of Galician literary history to show how this trope has helped sustain the unequal power relation between Galicia and the Spanish state and how, as a consequence, questions of masculinity, morality, and respectability have played an essential role in Galicia’s national construction. 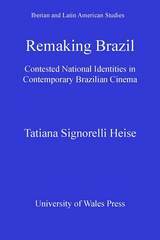 By examining how national discourses in Galicia have been affected by questions of gender and sexuality, Miguélez-Carballeira seeks to construct a new paradigm from which to study Galician cultural history and production. Rural Wales in the Twenty-First Century explores the ever-changing geographies in rural Wales today. Written by experts in human geography and sociology, the essays analyze the ways in which the contemporary geographies of rural Wales are bound up with rather complex connections between society, culture, economy, and environment. Among the numerous topics discussed are rural demographics, the cultural impacts of immigration, labor markets, food and farming, and environmental sustainability. The book uses these accounts to provide a broader critique of rural geography and rural studies in the United Kingdom and other developed countries. 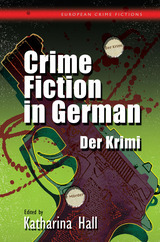 Stieg Larsson’s darkly violent but irresistibly absorbing and wildly popular crime novels have brought new attention to the work of Nordic crime writers, and Scandinavian Crime Fiction is the first English-language study of the genre as practiced in Denmark, Finland, Iceland, Norway, and Sweden. 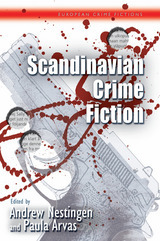 Attending to the work of such popular authors as Henning Mankell, Karin Fossum, and Anne Holt—as well as Larsson—Scandinavian Crime Fictionexplores every aspect of crime writing in the region, from history to recurrent themes to the ways these books have been adapted for television. Many readers will be familiar with Mankell’s “Wallander” series and movies based on Staalesen novels, which are both popular on PBS. 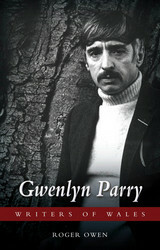 This is the first book-length study in English of Gwenlyn Parry (1932–91), the Welsh writer best known for his major stage plays, including Saer Doliau, Y Twr, and Panto, as well as his works for television and film, such as the soap opera Pobol y Cwm, the sitcom Fo a Fe, and the cult BBC TV film Grand Slam. Roger Owen takes into consideration the scope and variety of Parry’s work, which often dwells on a despairing and solitary search for meaning in existence. 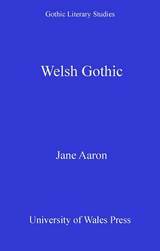 He reveals Parry as a writer whose theatrical vision was both facilitated and impeded by his dedication to the spoken dialect of his native Arfon and whose work mediated between the extremes in his life and work: the personal and private, absurdism and populism. Although the legends of Arthur have been popular throughout Europe from the Middle Ages on, the earliest references to Arthur are actually found in Welsh literature, beginning with the Welsh-Latin Historia Brittonum, which dates from the ninth century. 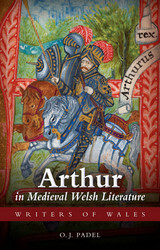 In Arthur in Medieval Welsh Literature, O. J. Padel provides a survey of medieval Welsh literary references to Arthur and emphasizes their importance to Arthurian studies as a whole. 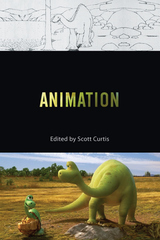 Padel considers texts from different genres alongside one another, from the folk legends associated with magic and animals to those portraying Arthur as literary hero, soldier, and defender of country and faith. Other figures associated with Arthur, such as Cai, Bedwyr, and Gwenhwyfar, are also discussed. 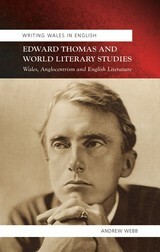 Edward Thomas and World Literary Studies offers a revelatory rereading of the early twentieth century English poet Edward Thomas (1878–1917). 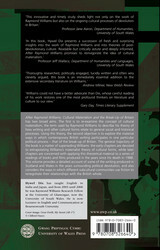 Adapting Pascale Casanova’s vision of world literature as a system of competing national traditions, Andrew Webb analyzes Thomas’s appropriation of Anglocentric British literary culture during key moments of historical crisis in the twentieth century: after World War I, before and after World War II, and the resumption of war in Ireland in the 1970s. Webb shows how the dominant linguistic assumptions underpinning the discipline of English literature marginalize the Welshness of Thomas’s work. 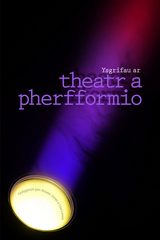 He then combines this revised world literature model with fresh archival research to reveal how Thomas’s reading of Welsh culture—its folk and literary traditions—is central to both his creation of an innovative body of poetry and to his extensive prose. Cleddyf Ym Mrwydr Yr Iaith?